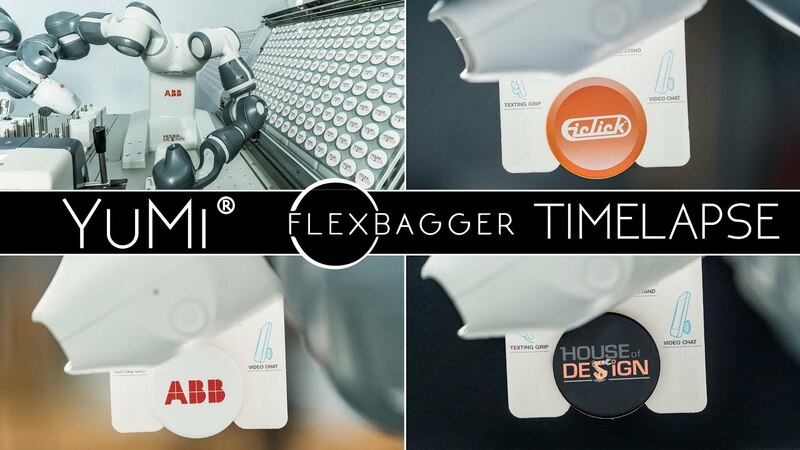 iClick utilizes our FlexBagger system. With Yumi, kitting and bagging has never been easier. This system is completely customizable. Just imagine the possibilities for your industry or company. and a blow system this system will assort each PopSocket into its own individual bin. 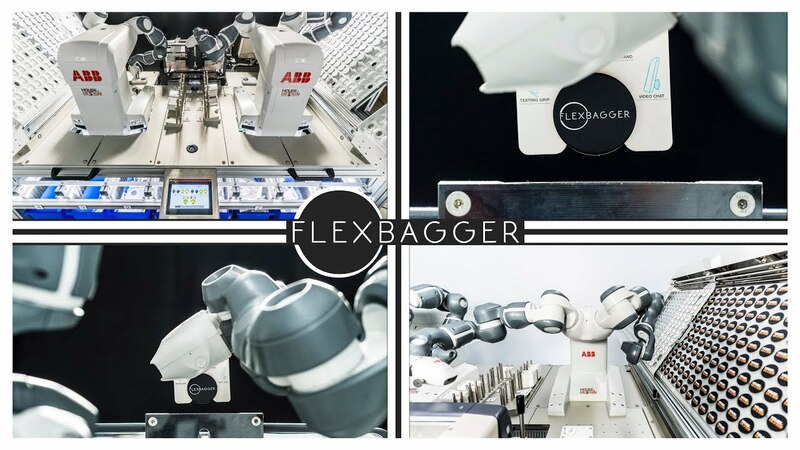 ABB IRB 14000 YuMi the collaborative robot works in unison with the Autobagger from Automated Packaging Solutions. PopSockets are loaded into palettes and placed onto system. YuMi then begins to load the PopSockets into Autobag system. ABB Popsocket loaded into our system for bagging. 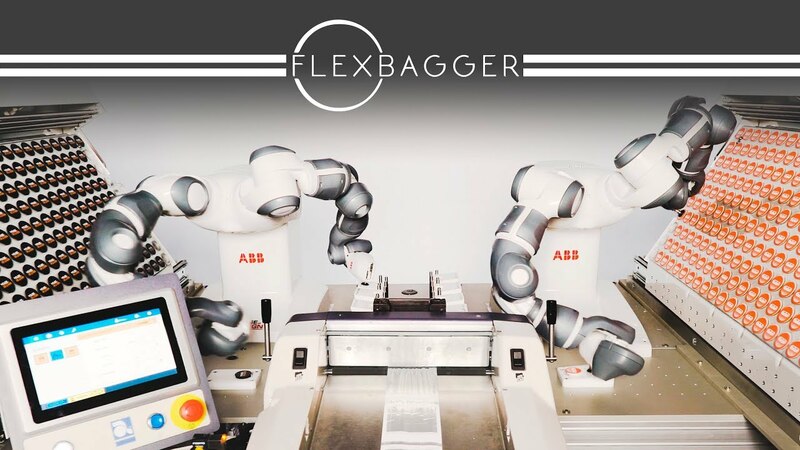 The FlexBagger system by House of Design Robotics.